Beer, Biere, Biiro, Bira, Cervesa, Piwo, however you say it, is the most widely consumed alcoholic drink in the world. It is one of the world’s oldest prepared beverages, possibly dating back to the early Neolithic or 9500 BC, and is recorded in the written history of ancient Egypt and Mesopotamia. Canada also has a rich brewing history, which is why there’s an annual festival held to celebrate this fermented drink. Toronto’s Festival of Beer, also known as Beerlicious or Beerfest, commemorates its 18th year this July from the 27-29th. 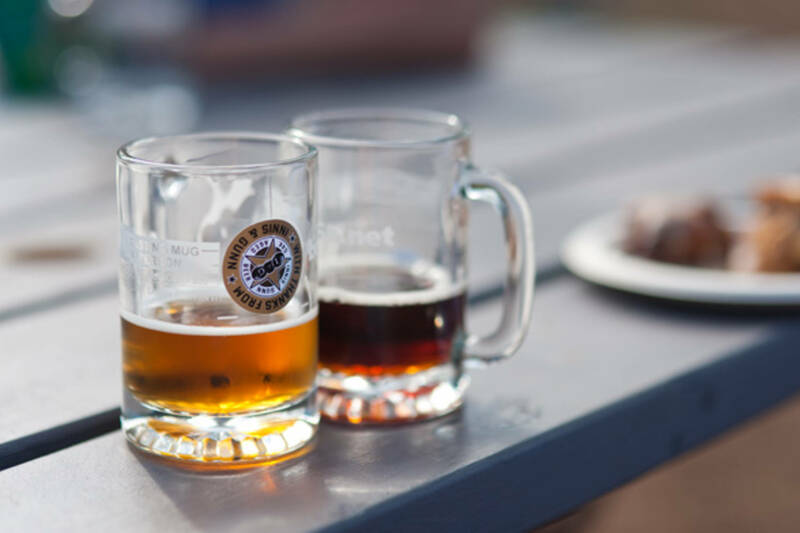 The first Beerfest was held in 1995, and since then its popularity has grown considerably. Hosting major and microbreweries from Canada and abroad featuring more than 200 brands of beer on-site. Approximately 35,000 beer enthusiasts attend the Festival yearly, and close to 100 vendors participate. This includes beer, alcohol, food and beer by-products. Besides imbibing beer, the fest also hosts several music bands, and other activities. Chef Ted Reader & Friends give tips on grilling in the grilling tent. Patrons will be able to learn about the countless distinct varieties of beer that both Ontario and the rest of the country have to offer. From lagers to stouts, fruit beers to ales, they have something for everyone. There are plenty non-malt based brew available including ciders and ready-to-drink beverages. In addition, there are food vendors serving up oysters, poutine, and burgers to combat your hunger. For those interested in learning more about beer, there will be a Girls Guided Beer Tour, the Brewmasters Series, World of Beer Pavilion, and Owner’s Lounge, three of which are new this year. The fest is located at the Exhibition grounds in Bandshell Park. *This is a 19+ event, no children, no pets, no exceptions! *Tickets can be purchased online, and are $38.50 and include 5 sample tokens, a new commemorative Toronto’s Festival of Beer glass stein and a Pocket Guide. *Discounts are available for Libation Nation members. LN members receive $5 off the price of their first ticket. *“Hoptimize” your General Admission ticket for express entry, an extra hour and a half in the Festival, and 5 extra sample tokens for an additional $10. Furnished apartments in Toronto, or Toronto furnished condos are close to the festival site. Toronto accommodations can be made by calling 1-888-SVS-STAY (787-7829).